Born and raised in southern New Jersey, M. Rose Barkley now resides in Seattle, Washington. She is an accomplished writer, poet, author and producer. Barkley shares her gifts with individuals and groups, where she inspires audiences to believe in themselves and the power of their dreams. 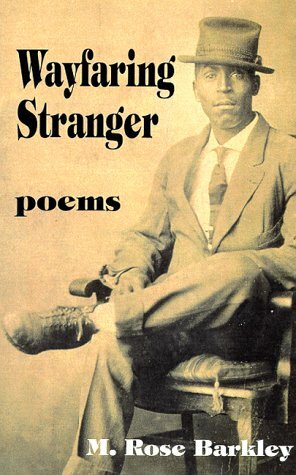 Barkley’s first book, Wayfaring Stranger, has received critical acclaim from many, including poet and educator, Nikki Giovanni. Barkley continues to be lauded for her literary accomplishments, having recently been awarded the Writer’s Digest Book Award for Poetry (2000). Barkley was also invited to the Sixth Annual Virginia Festival Of The Book Charlottesville, VA), where she showcased work from Wayfaring Stranger. And The Virginia Center For The Book has nominated Wayfaring Stranger for its Virginia Literary Award 2000. Barkley’s latest creation is the short film, In View of A Cup Half-Full: ART PEACE Volume I (July 2000), which she produced in association with Ascender Productions. It is a film adaptation of the poem, “Spiral Pillar,” taken from Wayfaring Stranger. Barkley produces, co-directs and stars in this telling film, along with several other women and children. Previewers continue to receive the film with enthusiastic support.